After Apple announced on Monday that preorders of the iPhone 5 had exceeded 2 million in the first 24 hours, Wall Street analysts reacted positively to the news, while some revised their projected sales upward. Among those was T. Michael Walkley with Canaccord Genuity, who now believes Apple could ship between 9 million and 10 million iPhone 5 units by the end of the September quarter. Walkley's checks with Apple's three U.S. carrier partners found that in addition to strong iPhone 5 preorders, AT&T, Verizon and Sprint have also seen "solid sales" of legacy models. With the introduction of the iPhone 5, Apple has dropped the price of the 16-gigabyte iPhone 4S to $99, while an 8-gigabyte iPhone 4 is available for free with a new two-year service contract. Walkley joins Gene Munster of Piper Jaffray, who said earlier this month before the iPhone 5 was officially unveiled that he also believes sales of the latest iPhone could reach 10 million by the end of the current quarter. The iPhone 5 will debut in 9 countries this Friday, Sept. 21, and another 22 countries will follow suit next Friday. Brian White with Topeka Capital Markets also previously said that iPhone 5 sales could reach between 10 million and 12 million units this quarter, despite being on sale for just one week of the September frame. He said Monday after Apple announced its record preorders that his estimates "look conservative." "Given the much stronger than expected iPhone 5 pre-orders sales, we expect a meaningful jump in the three-day sales results for the iPhone 5 compared to the over 4 million iPhone 4S weekend sales last year," White wrote. Last year's iPhone 4S launch was the largest product debut ever for Apple, reaching 4 million units in its first three days of availability. That more than doubled the previous record of 1.7 million sales in three days by the iPhone 4 in 2010. Finally, Maynard Um with Wells Fargo Securities said in a note to investors on Monday that he expects Apple will face supply constraints of the iPhone 5 at launch. Apple did acknowledge on Monday that demand for the iPhone 5 currently exceeds supply, but the company also said the "majority of preorders" will be delivered to customers on Sept. 21. 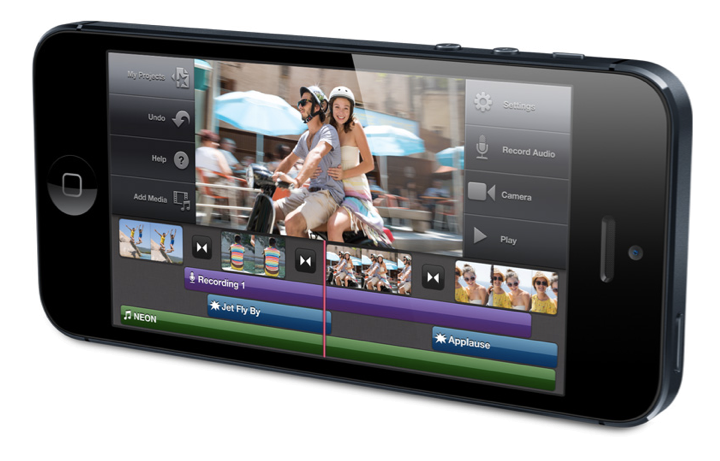 New orders of the iPhone 5 are not scheduled to arrive until October, which would push those sales to Apple's December quarter. Leading up to the holiday shopping season, Um expects Apple will resolve its supply constraints "rather quickly" and catch up to consumer demand for the iPhone 5.